I liked this mirror as a cheap purchase so that I had peace of mind that baby was ok in the rear facing car seat. However did find that it was easily knocked when moving baby in and out and when on your own it can be awkward to try to get the mirror into the right position again. Great mirror for seeing the baby in the back of the car, easily adjustable and a good size mirror. It has never fallen off like other ones I have had previously and couldn’t live without it. This mirror was easy to fix in place and great for checking on my baby whilst driving. I bought this to be able to quickly check on my baby whilst driving to stop distraction. It was easy to fit in the car and to move between cars if needed. I purchased this mirror online, i wanted to see my baby whilst driving and check on them whether she is sleeping on not, or in case she had reflux/threw up etc. 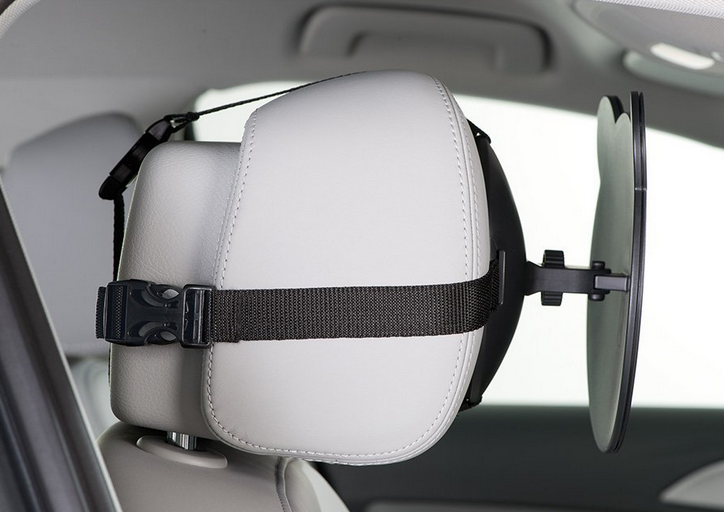 It really does what it says on the box, it's easy to fit on the headrest with adjustable straps, can be positioned correctly easily by another passenger in the back seat, provides a clear image of the baby. The only downside is that it scratches easily but that is just cosmetic, as it still provides a perfectly good view of you baby. Tricky to fit initially and can’t see much when dark. This mirror is a decent enough size once properly fitted to see your little one and make you feel more comfortable knowing they are ok when travelling. It’s a little tricky to fit initially with the buckles and then to adjust to the right positioning so you can see but once done it does the job reasonably well. My biggest issues with this is that in the evening or dark winter days it’s not easy to see baby. It could maybe do with having a dim light built in like some others I have now seen on the market. I was nervous about taking my baby out for the first time on my own in the car as I would be able to see her to make sure she was okay. This mirror has been amazing, it is easy to install and allows you to see your baby when you’re driving. Although it doesn’t stop her from occasionally crying I am able to see her face to determine what cry it is and if I need pull over without getting stressed and panicked. Attractive and affordable product, could be marginally bigger to show more of baby but position adjustable for these instances. An essential in car item for any new parent. Can move out of place easily at times. 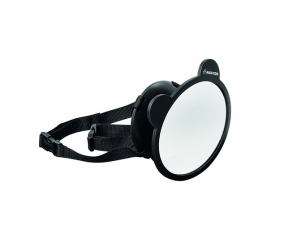 This product is extremely useful, it enables me to keep an eye on my baby while I am driving. I do not feel that this product distracts me. The product makes my car journeys feel much more relaxed and safer. i absolutely love this item. i love being able to see my daughter when i am driving. however i feel the circle should be a better shape, e.g a rectangle so when my daughter moves around or kicks the mirror with her long legs, because apparently this is really fun, the mirror moves and i am no longer able to see her so have to stop and rearrange the mirror. I’m distracted easily so look a lot! Love this product and being able to see baby so easily in my rear view mirror. It’s not easy to lean over a baby chair and it’s certainly not safe when the car is in motion. One of the best baby shower gifts I received. we bought this for our friends for their first baby as they were quite panicky parents!! it really put them at ease so mum could sit back in the front again! i felt it was great for money and a great way to check a small or new born in the car when they are rear facing without taking your eyes off the road or turning around to check. i loved it and would use it again if and when another baby came and have recommend and still be recommending it to other parents who drive as it an easy convenient way to put your mind at ease while driving. Really great to see baby. It's much better to be able to see baby whilst driving! It helps put your concentration on the road not wondering if baby is alright! Very happy with this product, it’s very strong and sturdy & I can see the baby very clearly. I would definitely recommend this mirror for anyone using a rear facing car seat. This mirror has been a god send. When I go out with my partner in his car, I sit in the back with the baby, but when I’m driving my much older car, I feel really uncomfortable when I can’t see our baby. The mirror has given me the confidence to drive my car comfortably, without worrying too much! This is a life saver when I’m on my own in the car with the baby. A must have for any driver with a baby/child. Gives me reassurance to know they’re ok as I can see them at any point without having to worry if they’re ok. I really like this baby mirror. Very helpful. When my hubby go for shopping with a little one, then using so he can see what she doing. My daughter suffers really bad skin condition and sitting in her car seat rear facing is her perfect chance if itching. She itches till she bleeds but having this allows me to see when she is doing this and know when to pull over and when to distract her. Also great for just knowing she's okay. This is great for my rear facing car seat I can see my little girl anytime I need to check she is ok with out stopping my journey. No more worrying when she goes quiet because I can see she is fine and just gone to sleep. It is a little difficult to get it in the right position you need someone to sit in the back while you guide them where to turn it to. It is difficult to see during the night time could do with a glow light around the mirror maybe that would help, but I rarely drive at night so that's not a problem. All in all make things easier. Attach the Maxi-Cosi car mirror to the headrest of the rear car seat to give you perfect visibility on your little one when you are driving. 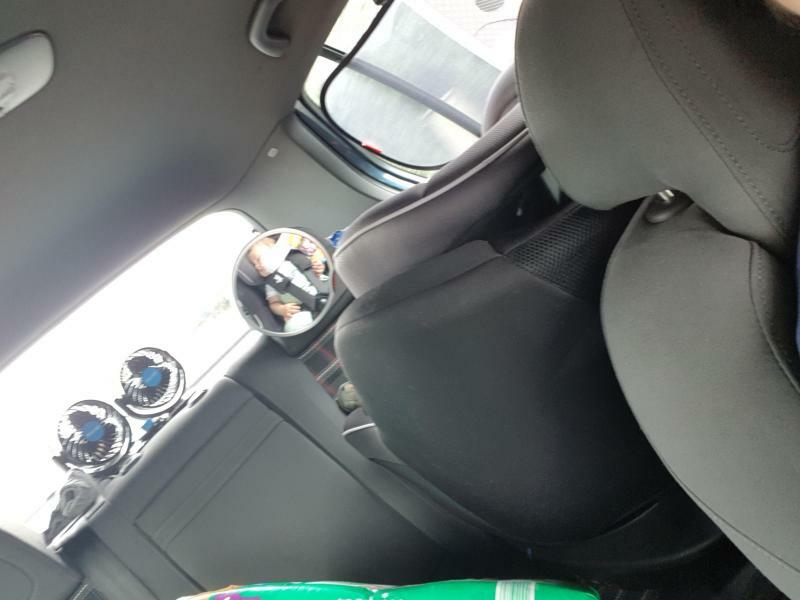 The mirror is positioned on the seat adjacent to where your little one is travelling (in their rear facing seat), and can be moved to face any direction.